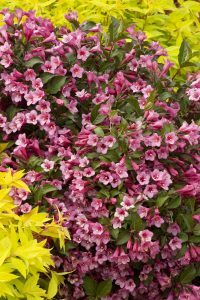 If you haven't added Weigela to your landscape, we have to wonder 'Why Not?' 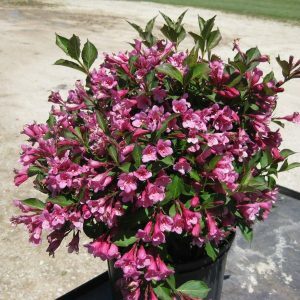 One of our favorites is Minuet Weigela. Both the foliage and flowers will add a lovely splash of color to your spring garden. The incredible display of rosy-pink blooms against a backdrop of purple-tinged foliage mixes fantastically in a shrub border, but it also works well anywhere else as a colorful garden accent. 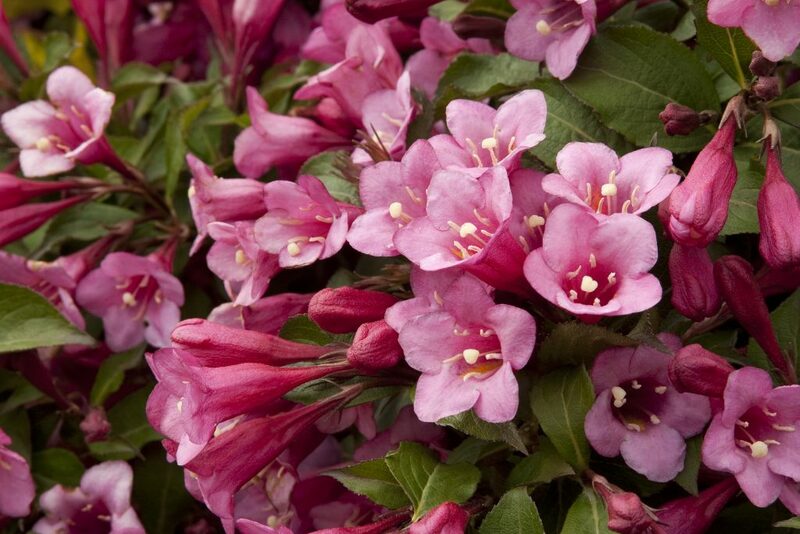 Coming from East Asia, weigela is specifically grown for their showy spring flower. We like Minuet for it's growing habit. It's a dense, rounded variety that is adored for its dwarf size. They may grow to 3' tall, and it spreads from 3' to 4' wide. Although it's a spring bloomer, this variety has been known to repeat a bloom of it's funnel-shaped flowers in mid to late summer. 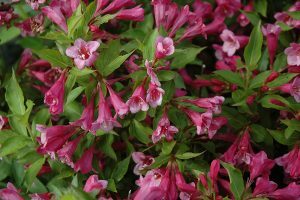 Coming from East Asia, weigela is specifically grown for their showy spring flower. We like Minuet for it’s growing habit. It’s a dense, rounded variety that is adored for its dwarf size. They may grow to 3′ tall, and it spreads from 3′ to 4′ wide. Although it’s a spring bloomer, this variety has been known to repeat a bloom of it’s funnel-shaped flowers in mid to late summer.